Dr. Maya Angelou on the set of OPRAH’S MASTER CLASS, in January 2011. Photo courtesy OWN. I think it would be virtually impossible to make a lackluster film about writer, singer, dancer, actress, poet, director and social activist Maya Angelou. 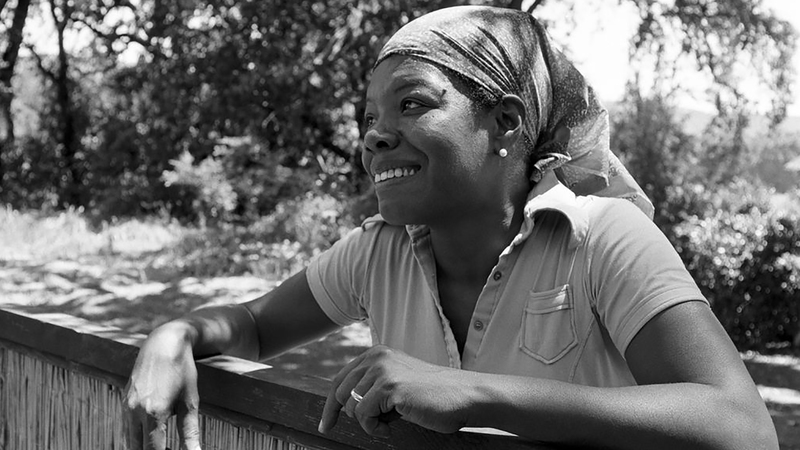 An electrifying presence in every medium she mastered, Dr. Angelou passed away in 2014. She was revered especially in age not only for her eclectic body of work in the arts, but for her ability to reach the most hardened of hearts. Dr. Angelou’s voice of inclusion, resilience and rebirth was a source of conscience and inspiration throughout her lifetime and is sorely needed in America right now. Thankfully that voice can still be heard via her work on the page and in films and via clips from various TV and cable shows and lectures. These are the tools that filmmakers Bob Hercules and Rita Coburn Whack use to marvelous effect in their ambitious feature-length documentary, Maya Angelou: And Still I Rise. Following its theatrical run and clean sweep of film festivals nationwide in 2016, the film makes its U.S. broadcast debut on the PBS series, American Masters tonight, Tuesday, February 21, 2017, 8:00 – 10:00 p.m. (Check local listings for air times and repeat broadcasts in your region.) It’s a welcome centerpiece on the PBS Black History Month roster. I can still remember listening intently to Dr. Angelou as she read her poem, On the Pulse of Morning, at President Bill Clinton’s inauguration in January 1993. I was mesmerized by her mellifluous voice and impressed with President-Elect Clinton’s decision to invite her participation. I had no idea that President Clinton and Dr. Angelou were bonded by their shared Arkansas roots. In 2010, President Barack Obama would similarly single her out with our nation’s highest civilian honor, The Presidential Medal of Freedom. 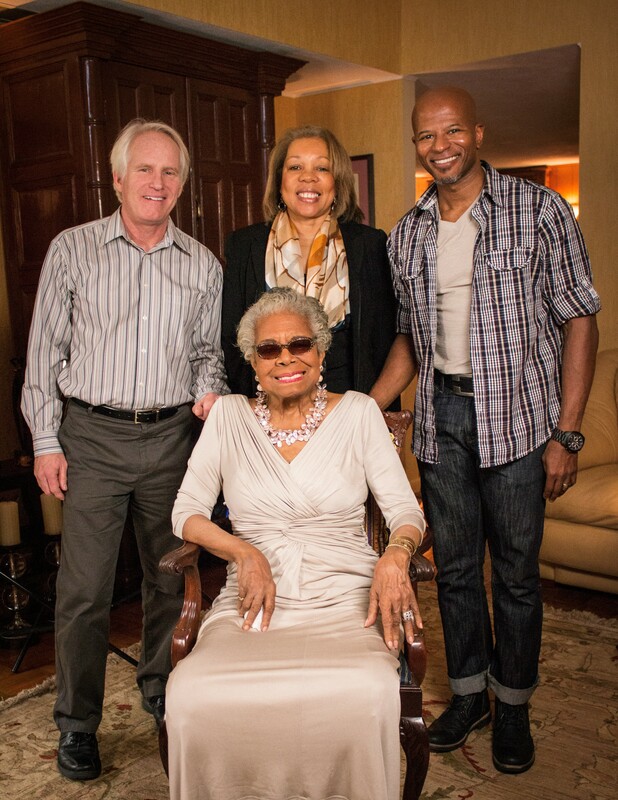 Dr. Maya Angelou with the film crew at her home in Winston-Salem, N.C., January 2014. From left, standing: co-directors and producers Bob Hercules and Rita Coburn Whack with D.P. Keith Walker. Photo: The People’s Media Group, LLC. 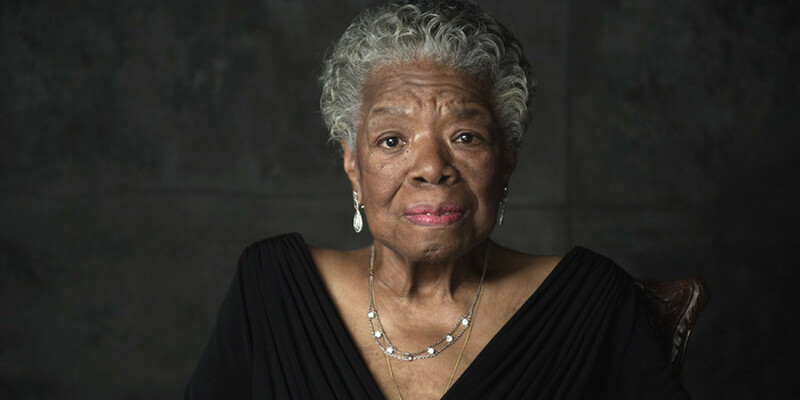 Heartfelt and revelatory reminiscences from Bill and Hillary Clinton, Dr. Angelou’s son, Guy Johnson, and such friends and colleagues as Random House editor Bob Loomis, and actors and performers Cicely Tyson, Oprah Winfrey, Lou Gossett, Jr., Alfre Woodard and Valerie Simpson thread throughout Maya Angelou: And Still I Rise. The filmmakers also incorporate profuse archival clips and photos highlighting Dr. Angelou’s various film, TV and stage performances as a dancer, singer, actress and director, as well as her talk show appearances, lectures and readings. Interviews with Dr. Angelou culled from various stages in her life are a special treat, especially those recorded by the filmmakers just prior to her death. “It was a unique privilege to be the first filmmakers to tell Dr. Angelou’s full story and exciting to uncover stories that most people hadn’t heard,” said co-director and co-producer Bob Hercules. As evidenced in her poetry and books, especially her autobiography I Know Why the Caged Bird Sings (Random House, 1969), which she linked to the “slave diaries” of the past, Dr. Angelou was her own best biographer. Her words shed light on her psyche, roots and the resilience that enabled her to survive constant upheaval, abandonment and prejudice in her formative years as a child in Depression-era America and her life as a young performer on the road as a single mom. 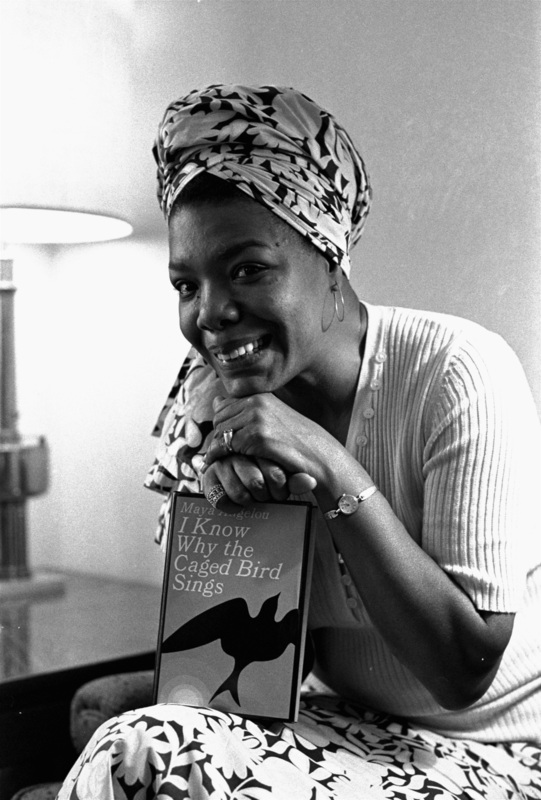 Maya Angelou, circa 1971, was hired to write the script and music, as well as direct the film version of her best-selling 1969 autobiography, I KNOW WHY THE CAGED BIRD SINGS. Photo: © WF/AP/Corbis. In addition to its importance as a tribute to Dr. Angelou’s life and legacy, the film and its title (taken from her poem of the same name) are welcome reminders of the reverence once accorded U.S. Presidential inaugurations in the past and how far we had come–as a nation celebrating its diversity–circa 1993. “We may encounter many defeats, but we must not be defeated,” cautions Dr. Angelou during the opening moments of the film. These are empowering words for us to remember in 2017. Dr. Maya Angelou at home in Sonoma, Calif., in the late 1970s/early ’80s. Photo: Magnum. This entry was posted in Film, Publishing, TV and tagged African-American Studies, American Masters, Authors, Black History Month, Bob Hercules, Civil Rights Movement, I Know Why the Caged Bird Sings, James Baldwin, Maya Angelou, Maya Angelou: And Still I Rise, Poets and Poetry, Rita Coburn Whack. Bookmark the permalink.